FOUDY CPA GROUP, PC takes a proactive approach to tax planning for small businesses and individuals. To effectively manage tax obligations, proper planning must be considered throughout the year, not just at tax time. Get started today by working with our Fort Wayne, IN CPA firm. With new tax updates looming, we diligently monitor changes to the tax code and pinpoint new opportunities to save our clients money on their taxes. If you own an existing business, we'll develop tax planning techniques tailored to your industry with the goal of decreasing liabilities and directing more revenue towards your bottom line. For new business owners, we’ll determine which entity is the most advantageous option for tax savings, so you can pick the right structure when you incorporate. And, if you're one of our individual clients, we'll minimize your tax obligations to make sure you keep more of your hard-earned money at the end of the year. 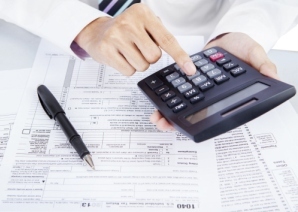 Take the initiative to start managing and reducing your tax burden today. Call our tax accountants at Fort Wayne: 260-432-4565 or Bluffton: 260-824-1040 to learn how you can pay lower taxes or request a consultation through our website now and we’ll contact you.